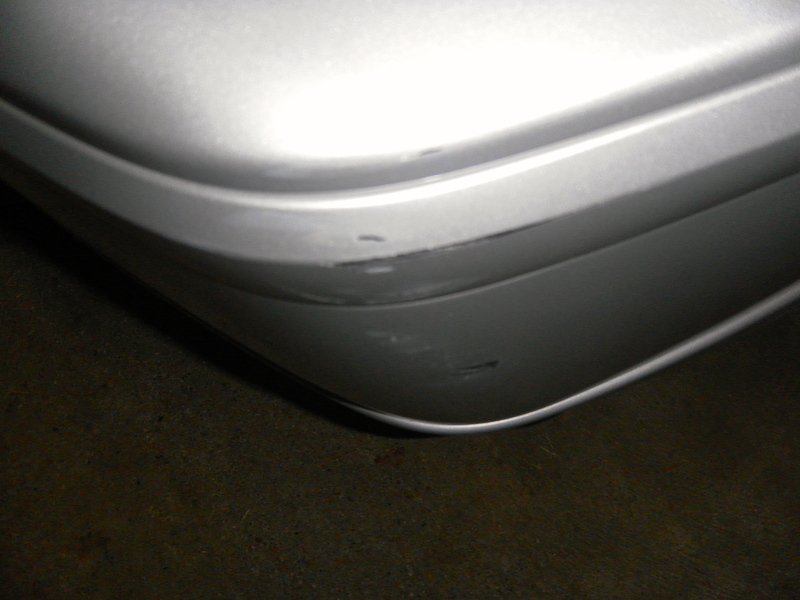 This week has not been the easiest for my husband, he went in to Home Depot to buy something for work, only gone a very short time, and he found a bad scrape on his bumper. Looked like some big cat had come by and raked its claws across it. No note, no apology. It had been a difficult day at work as well, so he was quite cranky when he came home. This is best I can do for photos. I went to Breakfast Club on Wednesday morning and talked to Vickie, our insurance agent and to Pat who does collision repair to let them know we would be coming to see them in the early afternoon. They both know how finicky her is about our cars, fortunately Pat does work up to his standards. Plus, Pat made a new door for the old simulator when someone pulled it off its hinges. We had a nice visit with Vickie, plus found out we have a $300 deductible – that didn’t help his mood. Not only did the person not leave a note, now we have to put out money to fix it. So then we went over to Pat’s and while they were out looking at the car and I wouldn’t be surprised if Eddie was venting as well, I visited with Lisa and Wendy. Looks as though it is going to cost a little over $800 to fix it, so he wants to go ahead and fix it – it will bug him if he doesn’t. I wonder if he will be like his Dad? He has told the story of his Dad in Jerusalem and how he felt about his cars. He had Opels and Mercedes, I am not sure which car it was that had a dent. As far as his Dad was concerned, it wasn’t the same car after that, so he sold it and bought another one. I wonder if that is where Eddie gets his feelings about cars. His Dad could work on the car, kept it spotless and took excellent care of them. He told me about the time he and his Dad took his Mom to visit friends and the two of them went off on a mission. His Dad was very quiet about the whole enterprise until they went to the Opel dealer. He had arranged to buy the car and trade in his old one. So they spent time doing the deal and then went to pick up his Mom. I don’t know how long it was before she finally realized it was a new car. 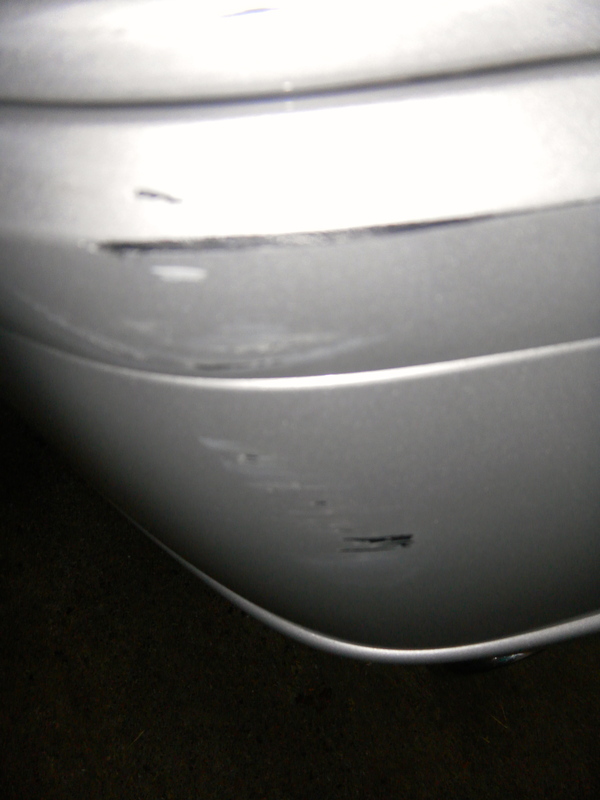 There are times I feel as if I have a large target painted on my left front bumper – twice people have hit me there. I was driving one of Eddie’s Volvos a few years back and a guy didn’t stop on the red light and hit the rear panel on the car, spinning me around 180. Must not have been a big enough impact because none of the air bags deployed. That was scary. I am not as finicky as Eddie, though I certainly don’t like anyone hitting my car. He is out now washing his car, washed my yesterday as well. He prefers to vacuum them here and of course none of them clean the wheels to his satisfaction. He tends to bug me about getting the car dirty – as if I have any control over it. I’d say is less finicky than his Dad but more finicky than I am. Heck, he could be out doing other stuff, so it isn’t a big deal for me. This entry was posted on August 4, 2013 at 2:50 pm and is filed under Musings. You can follow any responses to this entry through the RSS 2.0 feed. You can leave a response, or trackback from your own site.